Do you have technical questions you are seeking answers to? ARRL maintains an extensive collection of information on a variety of technical subjects encountered in Ham Radio. Click here to access a wealth of information that awaits you. If you didn’t find answers using the resource above, a team of Technical Specialists within ARRL’s New Mexico Section are available to help. Click here to contact New Mexico’s Technical Coordinator. Mike is an Alamogordo High School alumni, 1979. First licensed in 1980, and Extra in 1981, he’s has been continuously active on the air. 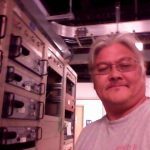 Mike is an ARRL Life member, and past president of three radio clubs, 30 years as an ARRL and W5YI VE, trustee for the Carlsbad Amateur Radio Club, and have station/section appointments as an OES, DEC, and Technical Specialist. He is a registered ARRL licensing instructor, and enjoy repairing radios, building antennas, and operating a good-sounding, capable station on HF. Mike retired from USAF PMEL (calibration), with an AAS in Electronic Systems Technology from the CCAF. After the Air Force, he worked in low-observable radar cross-section measurements, as an tri-field mobile camera (Gyrocam) FSR in Afghanistan for the US Army, and finally landed, so to speak, as a NAVCOMM technician with the Federal Aviation Administration. Mike maintains and certifies enroute and terminal navigational aids, instrument landing systems, runway lighting, and air to ground communications systems used within the National Aerospace System. As a Section technical specialist, Mike can provide help with station problems, RFI, and transceiver troubleshooting/repair, antenna building, computer networking, and weather stations, among others. He has 30+ years of PC training and experience on everything from Sperry mainframes to IBM PCs. Mike has been a licensed amateur radio operator for over 10 years and currently holds an Extra Class license. 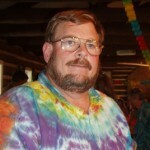 Mike’s educational background includes an associates degree in electronics from DeVry Phoenix, bachelors degrees in math and computer science from Cal State Hayward, and a masters degree in computer science from UC Davis. Mike is employed by Sandia Labs where he specializes in embedded programming. Mike enjoys combining computers and microprocessors with HAM radio and building telescopes. Mark resides in Albuquerque with his wife Cindy, KC5TZF. He received his amateur license at age 16 and has been an active ham his entire adult life. Professionally, Mark’s technical background draws from his time in the United States Air Force, as technician and engineer at Motorola, and his current role as a design engineer for a commercial/industrial RFID supplier. 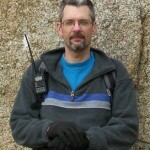 Mark’s interests and expertise in ham radio encompass most of what ham radio has to offer, from QRP HF CW to satellites. Antennas are of particular interest of Mark’s, from theory and simulation to practical application. He is interested in helping out fellow hams enjoy the hobby more by solving technical issues. Bruce Campbell NK5W is a “transplant” from the Chicago area, where he earned my first Amateur Radio license in 1991. Recently retired, Rio Rancho, New Mexico has been Bruce’s home, where he worked as an electrical/mechanical technician in manufacturing; troubleshooting and repairing controls and actuators for high-speed packaging machinery. Bruce holds an Amateur Extra class license, and likes to contest whether it be from home, a mountaintop, or as a rover. Experimenting with antennas, and fabricating new mounting hardware is an interesting part of ham radio to Bruce, as is contesting. Jim has been an amateur radio operator since 1984 and has worked for over 35 years as an electronics technician. 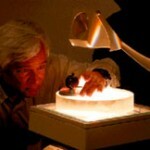 He is currently employed by the NRAO and works at the VLA. Jim’s shop at home allows him to repair older radios or electronic equipment. 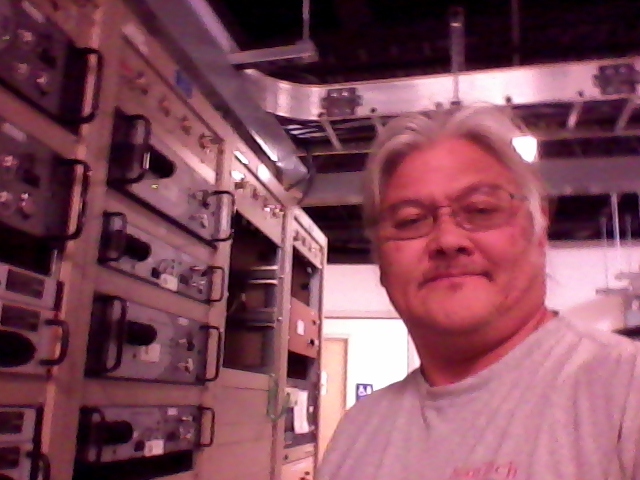 He’s have repaired Icom, Yaesu, Collins, TenTec and Heathkit gear. The older TenTec radios are Jim’s favorites. 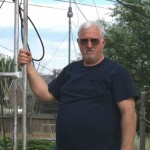 QRP has always interested Jim, and you can find him on the local repeaters and working HF SSB. When the sunspots are active, 6 and 15 meters are Jim’s favorites.